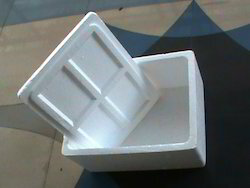 We have various range of packaging boxes to cater the fruit and vegetables. This high quality thermocol vegetable boxes are specially desinged to meet with the lateset needs of contemporary market. Perforated boxes enhances the shelf life of the perishable products. our thermocol fruit box is the most durable and versetile design in it's class. We have various size available for this sort of fruit boxes. 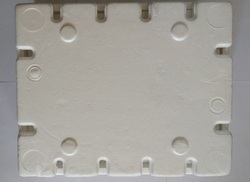 Our exclusive range of packaging molds are designed as per the prototypes or specifications provided by our clients to suit their varied requirements. We adhere to high accuracy standards, while manufacturing mouldings, so that these mouldings are in accord with the specifications of our clients. EPS packaging boxes are ideal for cold chain packaging, temperature controlled packing and fragile product packaging. its been popularly known as thermocol ice box. We have various range of Thermocol fruit box to cater the fruit and vegetables. This high quality thermocol fruit boxes are specially desinged to meet with the lateset needs of contemporary market. our perforated thermocol vegetable box is the most durable and versetile design in it's class. We have various size available for this sort of boxes.